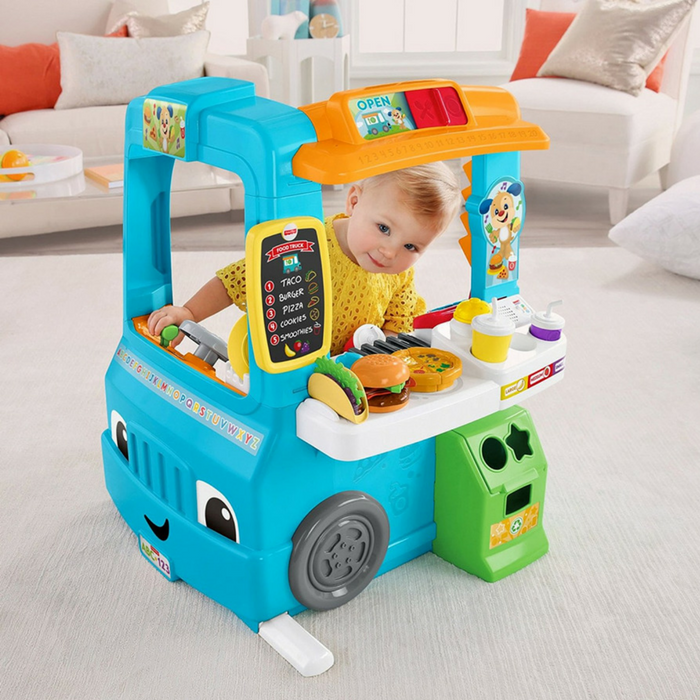 Fisher-Price Laugh & Learn Fun Food Truck Just $51.19! Down From $70! PLUS FREE Shipping! You are here: Home / Great Deals / Amazon Deals / Fisher-Price Laugh & Learn Fun Food Truck Just $51.19! Down From $70! PLUS FREE Shipping! Amazon is currently offering Fisher-Price Laugh & Learn Fun Food Truck for just $51.19 down from $69.99 PLUS FREE shipping! With two full sides of toddler-friendly learning fun, the Laugh & Learn Servin’ Up Fun Food Truck serves up hours of role play and hands-on activities. Its blend of kitchen and vehicle play keeps mini-entrepreneurs busy—greeting customers, working the register, prepping “orders” on the light-up grill, and more. And while they’re engaged in all that super fun role play, toddlers are also being introduced to sizing and sequencing, advanced vocabulary, manners, taking turns, and more with lively songs, sounds, tunes and phrases! Three Smart Stages levels offer up different songs, sounds, and phrases, so the learning fun can keep going as your child keeps growing. ​“Magical” cash register reads all four menu cards! “Ring up” orders by pressing the number buttons, and push the music button for a playlist of learning songs and more!